It’s the BBC Sports Personality of the Year award in a fortnight, so I’ll be writing a few blogs on the five women who have been nominated, plus looking at how the voting procedures have changed in 2012 after last year’s all-male shortlist. The first ever Olympic gold medallist in women’s boxing, winning the flyweight division. Patronised roundly by Gary Lineker who repeatedly admired her smile when making an attempt to interview her. Certainly the most high-profile of the quintet, the heptathlete was the “face” of the London 2012 Olympics, where she won gold in her event – proving herself the best all-round female athlete in the world. 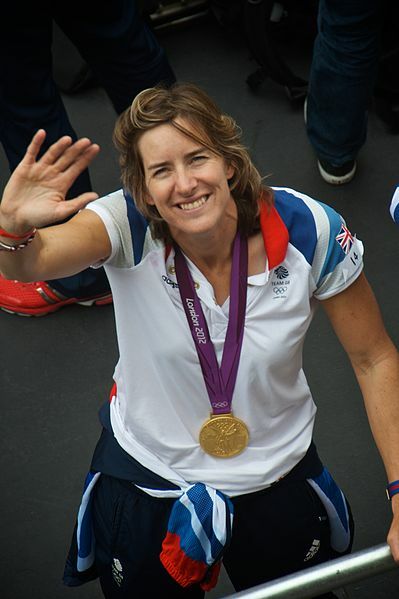 After coming so close at the three previous Olympics, she finally won gold in the double sculls with Anna Watkins. That closed off an incredibly successful season for the pair, during which they won all three World Cups in their event, in Lucerne, Belgrade and Munich. Tough for her to follow her success at the 2008 Paralympic Games, where she won two golds at the age of 13 – but she managed it, adding two more golds plus a silver and a bronze to her collection. Four-time gold medallist in cycling at the Paralympic Games in 2012, adding to the two she won in 2008…and the five she won at earlier Games, except those five were in swimming. She narrowly missed out on being part of the squad for the Olympic team pursuit, having previously been part of the Commonwealth Games squad.